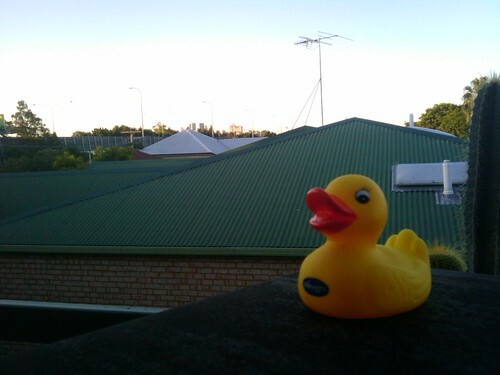 I was feeling silly this afternoon, so I created a set of photos with my rubber ducky from LCA2011 and my cactus on my balcony. This is the last shot of four. Look at the others here. Today was actually a really hard choice - I had two other major contenders for today's spot. I'll include them in my weekly second-place post. Now, to bed - Monday comes early!